Black Friday is the far and away the biggest shopping day of the year, with sales from brick and mortar establishments totaling $15 billion on Black Friday alone in 2017. 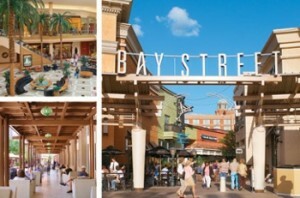 For retailers in Tampa, you have the extra challenge of earlier opening times, crowd control, frustrated shoppers, and a long list of potential problems; shoplifting, employee theft, trampling, brawls, customer confrontations and more. These issues are a headache that will eat away at your profit margins. Even worse, a major incident on your premises can lead to a lengthy legal battle and financial trouble long after the holidays are nothing but a bad memory. Black Friday is the day in which your store floor is the busiest, the day your store associates are the most distracted, the day your fitting rooms are the most unorganized, the day the crowd is the most agitated and the police are the busiest. All of this amounts to one of the most hectic and dangerous environments a store owner will ever see. ESS Global Corp has been providing Black Friday store security in Tampa for all types of merchants, both small businesses and the national chains. Here are some of the major challenges we help you overcome. Customer Shoplifting and Employee Shrinkage – With these increased massive crowds, stores of every kind are much more vulnerable to theft, especially in light of your staff being overstretched trying to provide service to so many people. 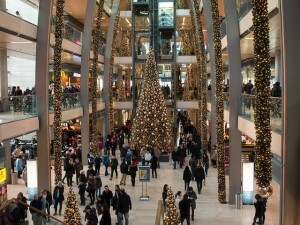 Sadly, statistics show that employee theft is more active during the holidays as well. While regular employees may be loyal, you have seasonal help that also knows that come January, they won’t be collecting a paycheck anyways. Employee theft skyrockets because there is so much activity for store owners, managers and supervisors to keep tabs on. While a security presence doesn’t guarantee that your Black Friday sales will be completely free of all shoplifting and shrinkage, a visible security force certainly helps deter unwanted activity. Customer Safety and Crowd Control – Fact: the majority of deaths and injuries incurred on Black Friday is either due to folks trampled in stampedes or affected by pepper spray. Simply dealing with the crowds on Black Friday is challenging. In addition, controlling the biggest crowd of shoppers all year, an increased Black Friday security presence can help to ensure the safety and security of your customers. Hiring an ESS store security guard for Black Friday store security in Tampa is a great way to help ensure the day goes smoothly, and vastly reduces shoplifting and shrinkage. Just the act of having a visible security presence is enough to prevent many would-be shoplifters. Depending on the size of your business, it may be necessary to take on more than one security guard in order to ensure that the majority of your store is under observation and surveillance. 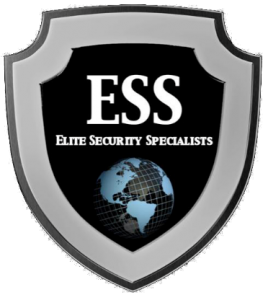 ESS Global Corp has been providing Black Friday store security in Tampa for years. Posted in ESS Global Corp, news, services and tagged armed security, black friday, black friday store security tampa, ESS Global Corp, Tampa, unarmed security.